In a place where the people are being silenced by the old regime, free speech is punished, in a country that has produced a landscape of mindless and terrified sheep, this absorbing documentary takes us behind the curtain of the political system in Zimbabwe. Politics is full of pretenders. They fully admit to glazing over the truth and using bullying tactics to coral followers like cattle. A broken system attempts to fix itself with the formation of a dual party constitutional committee. We are privy to embattled showdowns with one party busing on “locals” for support and the opposition party fighting for it’s people’s lives, literally. 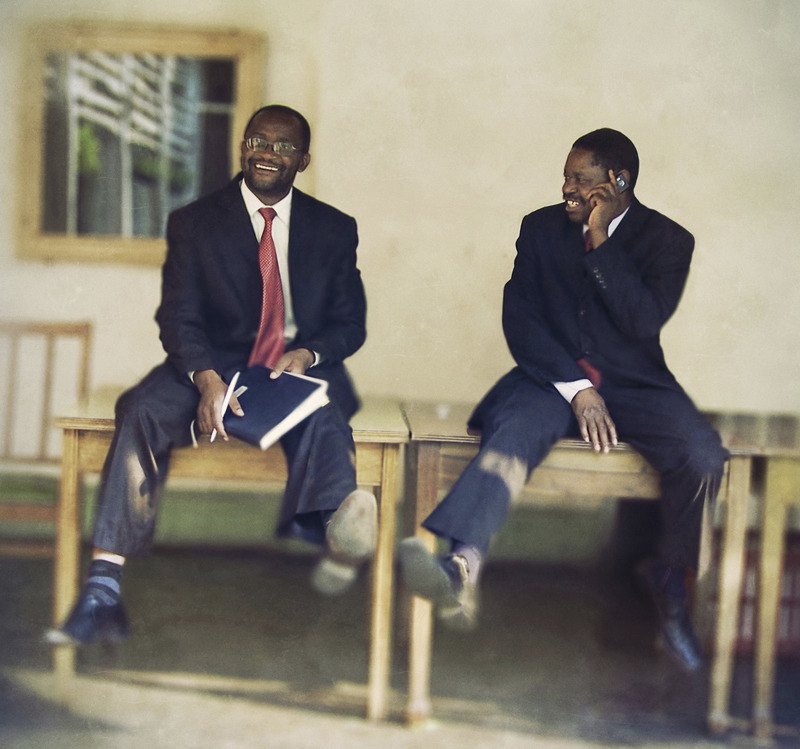 Can two men guide an entire country through peaceful transition? This is a drastic portrait of how money and power control politics. Talking points, denial, broken promises are all things we understand in the United States, but in Zimbabwe, in the shadow of Mugabe, this is something altogether next level for these people. The lies and the violence are all on camera. Despite this, it is two steps forward and 20 steps back. Whichever side you happen to be, DEMOCRATS is a brave and brilliantly cut together piece of art. The filmmakers and all those involved must be saluted for standing for something in a place where nothing is the norm. In the wake of Robert Mugabe’s highly criticized 2008 presidential win, a constitutional committee was created in an effort to transition Zimbabwe away from authoritarian leadership. With unprecedented access to the two political rivals overseeing the committee, this riveting, firsthand account of a country’s fraught first steps towards democracy plays at once like an intimate political thriller and unlikely buddy film. In English, Shona with subtitles. Lust at first sight is relatively common. Taking a chance on a stranger, these days, is pretty uncommon. Luciana and Pedro meet at a costume party and decide to leave together on a whim. Alcohol fueled inhibition leads to the prolonged weekend together camping. This film is about two people learning about each other, trusting each other, going with the flow. Relationships are complicated, but maybe, this one doesn’t have to be. Viaje has some of the most genuine and funny dialogue I have heard in long time. When two people click, this is how they communicate. The chemistry between lead actors Kattia Gonzalez and Fernando Bolaños is palpable and delicious. They are passionate and natural and I could have watched them play off one another for ages. The film’s score is lively and fun. The camera work has a superb energy that keeps up with our vivacious leads. Shot is beautiful black and white and at a tight 70 minutes, Viaje is an honest picture of mature feelings and elegant understandings we face as we grow together and apart. After meeting at a party, Luciana and Pedro spark up a spontaneous rendezvous when Luciana accompanies Pedro to a national forest on a work trip. Eschewing the fraudulent nature of traditional relationships, the pair explores the beauty in the nature that surrounds them as they indulge in the passions of their encounter and navigate the various meanings of commitment. This entry was posted in Documentary, Film Festival, Foreign Films, Go To The Movies, Liz, New York City, New York City, Reviews, Screenings, Tribeca Film Festival, What To Watch This Week, Woman Lead, Women in Film and tagged black and white, Camilla Nielsson, comedy, constitution, Costa Rica, Democrats, Denmark, documentary, Fernando Bolaños, Kattia Gonzalez, Mugabe, narrative, Paz Fábrega, politics, tff, tff2015, tff2015 liz, Viaje, Zimbabwe by Liz Whittemore. Bookmark the permalink.